It is always good to know about the remedies and the treatment measures of ailments and sicknesses and shingles is certainly no different. Your awareness about the treatment measures will enable to you ably handle the pain caused by the sickness. Hey but wait, what is shingles after all? Well, a better way to start is to gain a little knowledge about the ailment itself! The varicella-zoster virus (VZV) is the causal agent of chickenpox. Once this ailment has occurred, it produces antibodies in the person that remains dormant in the system even after you have recovered from the ailment. This creates immunity in the person and that person does not develop this problem again in the future. However, we see that if the same person is again exposed to the virus, there is a probability of developing the problem of shingles. 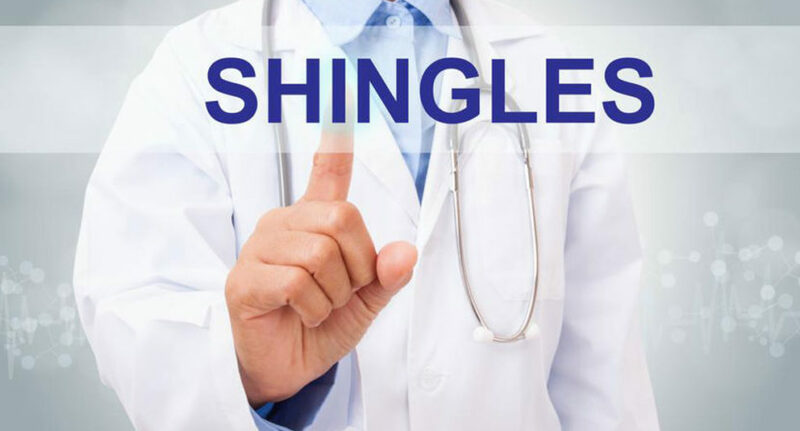 Shingle is a condition where a band of rashes appears on any one part of the body. It can be very painful and also harmful if the person develops the problem of postherpetic neuralgia. However, the symptoms and the effects are not as bad as that of chickenpox, for example, there is no fever. In most cases, it has been seen that shingles as an ailment does not have much of a remedy. This is a condition that prevails for a week or so and then subsides. However, if the pain persists even after a period of one month then there is a chance that you have developed the symptoms of postherpetic neuralgia. In this condition, please do not delay to visit your doctor. Often it has been suggested that there is no particular medication for shingles. Even then antiviral drugs and shingles relief creams are generally prescribed by doctors so that you can get relief from the pain. Investigations and research have proved that antidepressant medicines and anesthetic often offers good respite and relief from the pain caused by shingles. Skin patches can also offer relief in certain cases. The medication relevant for the problem has also undergone a huge development in the current times. Topical creams that contain capsaicin can provide good relief to shingles pain and can be considered as the most effective shingles relief creams. Additionally, the doctors also suggest application of numbing agents such as lidocaine creams, sprays, and gels that are also considered to be great shingles relief creams. Make sure to consult your doctor before you use any of these creams. Shingles is a viral disease that lasts for a period of 2-3 weeks. However, very few people, as few as ten in hundred can develop the problem of postherpetic neuralgia. Even then there are no certain drugs that can cure the problem completely. It develops and recedes on its own. Nevertheless, even then certain remedial steps could be taken at home to subside the shingles pain reasonably faster. How Do Shingle Relief Creams Work? Most of the over-the-counter shingle relief creams are very effective. Especially, they treat the itchy and burning skin in no time. The ingredients used to make such creams not only act upon the shingles virus but also soothe the skin from within and give a cooling effect. You are advised to choose a cream for shingles that is made from natural and organic elements. Many creams in the market have honey, coconut oil, organic aloe vera barbadensis, vital minerals and vitamins, blue green algae, and extracts of cehami – all these together acts on the painful skin zone and brings on a calming effect. Always select creams that do not have parabens, chemicals or added fragrance. Organic and natural creams are the best ways to get rid of burning, itching, and painful effects of shingles. How To Apply Shingles Relief Cream? Step 1 – Bathing is one of the best measures to get relief from the pain of shingles. It will keep your skin free from dust and germ that could actually aggravate the problem. For better effects, you can also add cornstarch into lukewarm water for 20 minutes. Avoid bathing in warm or hot water. Also, keep your towel separate so that the virus does not spread to others. Step 2 – Shingles rashes can itch big time. To prevent this, you must apply lotions and ointments to keep the place well moisturized. However, for the same please do not use ordinary or heavily scented creams and lotions. Topical shingles relief creams are always the best choice. You are advised to get such creams after consulting the doctor to ensure better results. These are some of the ways to get relief from the pain associated with shingles. Fight shingles better with knowledge.